Retcons are a weird thing, but they're a constant of the superhero comic book world. 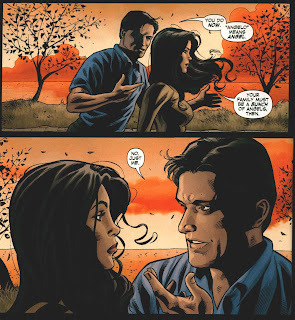 Helena Bertinelli was introduced as the Huntress in the 1989-90 ongoing series The Huntress, a dark, sort of moody noir series that stood on its own, though she did meet Batman once and was also a member of the Justice League International's American branch (since she lived in New York City). She faded away, but in 1992, Chuck Dixon brought her back for a two-issue story in Detective Comics, and then a key role in Robin III: Cry of the Huntress (1992-93), and finally her own miniseries (1994). Each of these tweaked her origin a little bit: soon she was from Gotham, not New York, and the exact details of how her family had been murdered fluctuated with each new story. Her origin got a wholesale retelling in 2000 with Batman/Huntress: Cry for Blood (the only one of these I haven't actually read), and then another one in 2008 with this series, Huntress: Year One. As you read new versions, it's sometimes hard to judge them on their own merits. The original Huntress series by Joey Cavalieri and Joe Staton isn't perfect, but it is distinctive, with dark, moody artwork and a heroine who's not always attractive, physically or elsewise. Though later takes on the Huntress would be darker and more violent, and though the plots of the ongoing sometimes got silly, there's a real sense of the series trying something not because it's tried and true, but because it's new and distinctive. The 1990s would take "dark and gritty" in bad directions sometimes, but I enjoyed what The Huntress seemed to be striving towards, even if it didn't always hit it. 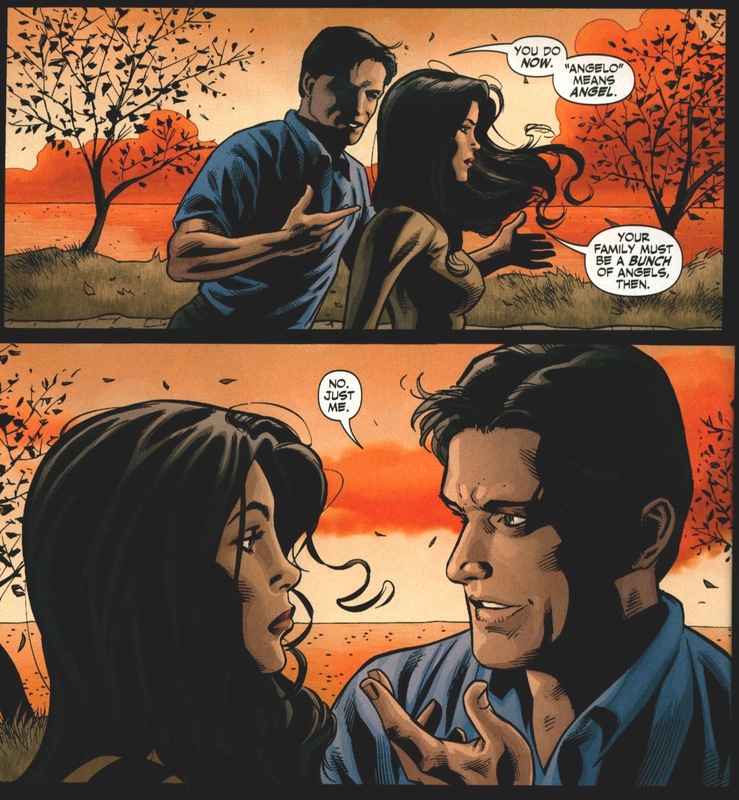 I guess this explains why Batman doesn't like the Huntress. So, my problems with Huntress: Year One aren't really its own fault. Its Huntress is a different character than the one created by Cavalieri and Staton, and she has a somewhat different history. I'm not sure what I think of her being raised in Sicily, or having a lost love: I liked the damaged, lonely warrior of the original series that didn't have anyone to support her. But the story Madison Ivory and Cliff Richards tell here is not bad, just different, and on its own merits, it's pretty good-- if nothing exceptional. 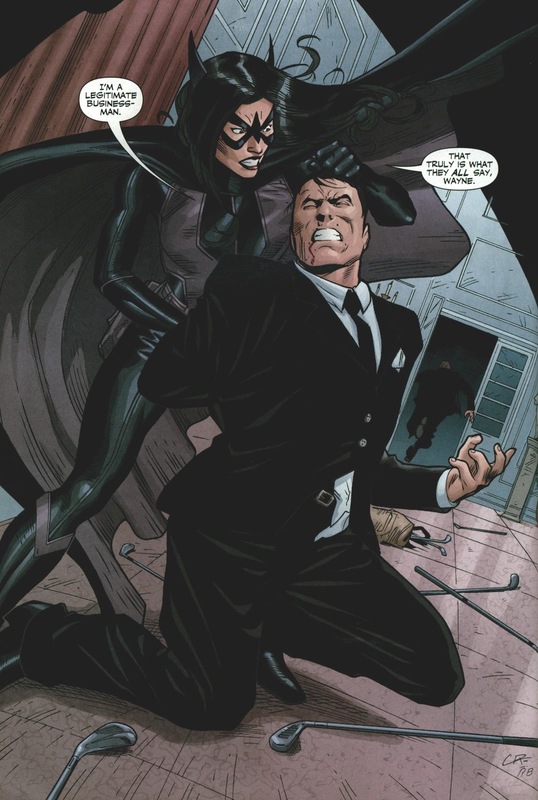 Instead of the gritty urban vigilante aspects of the character, this really focuses on mafia princess components, as Helena untangles a conspiracy to deprive her of her inheritance, and much worse, that runs from Sicily to the Vatican to Gotham, and leads to her meeting Batman, Batgirl, Barbara Gordon, Bruce Wayne, and Catwoman, among others. Like a lot of conspiracy stories, some of it went over my head, and there's a lot of characters to keep track of, but Ivory keeps things pretty interesting, and I enjoyed the clean linework of Cliff Richards, Art Thibert, and Norm Rapmund, especially their regal, statuesque Helena. Here's a weird fact: people would write into the letter column of the Cavalieri/Staton Huntress complaining Helena was too ugly. As a result, the editor asked people to write in about whether they thought that mattered! But I'm pretty sure Staton didn't intend Helena to be unattractive; that was just the way he drew everybody. Anyway, seems unlikely anyone wrote in complaining about that this time out. But I just couldn't shake the versions I'd read before from my head. Usually, I feel like I'm better at this. Oh, well. Next Week: It's Year One again again as Nightwing makes his debut on the Gotham stage!